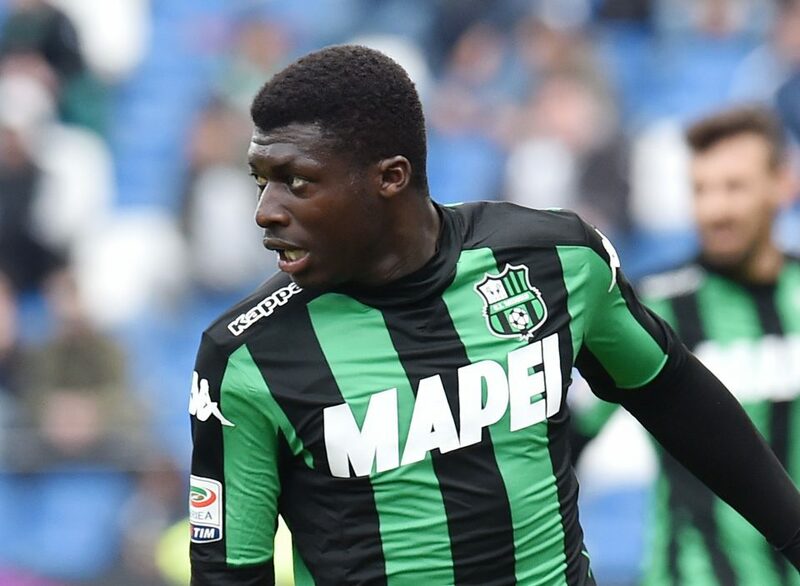 Inter are considering bringing midfielder Alfred Duncan back to the club as part of a series of transfer deals between themselves and Sassuolo, according to Tuttosport. The Nerazzurri have been widely linked with a move for Matteo Politano in recent weeks but on Wednesday the Turin-based paper reported that they are now looking at Ghanaian international Duncan as well, who has made 88 appearances for Sassuolo since joining the club in 2015. Duncan would provide head coach Luciano Spalletti with another option in a department where Inter were often short for numbers during the past campaign, but most of all he would provide the club with another homegrown player to include in their UEFA player list for next season’s Champions League. UEFA’s regulations stipulate that four of the 25 places in a club’s list are reserved for players who have been registered with them for at least three seasons between the ages of 15 and 21, with a further four places reserved for players registered to another club from the same association. Having spent over four years contracted to Inter before joining Sampdoria in January 2015, aged 21, Duncan would be able to fill one of those spots, which at the moment only Davide Santon would be eligible for. Along with discussions over Duncan, Tuttosport report that Inter and Sassuolo have also discussed the possibility of collaborating to sign Argentinos Juniors forward Nico Gonzalez, whom the Nerazzurri are interested in and are willing to pay €10 million for. Argentinos Juniors president Cristian Malaspina is expected to arrive in Milan this week for a meeting with sporting director Piero Ausilio, but Gonzalez could initially sign for Sassuolo before joining Inter at a later date should he fail to obtain an EU passport.